Garage Organization in Atlanta - Garage Organization, Garage Storage Solutions, Garage Flooring and More! - Help bag up all of your trash and put it out for your garbage men. - If necessary, help coordinate with a trash removal service to haul your garbage away. - Help drop off items to local charities and provide you a charitable tax receipt. 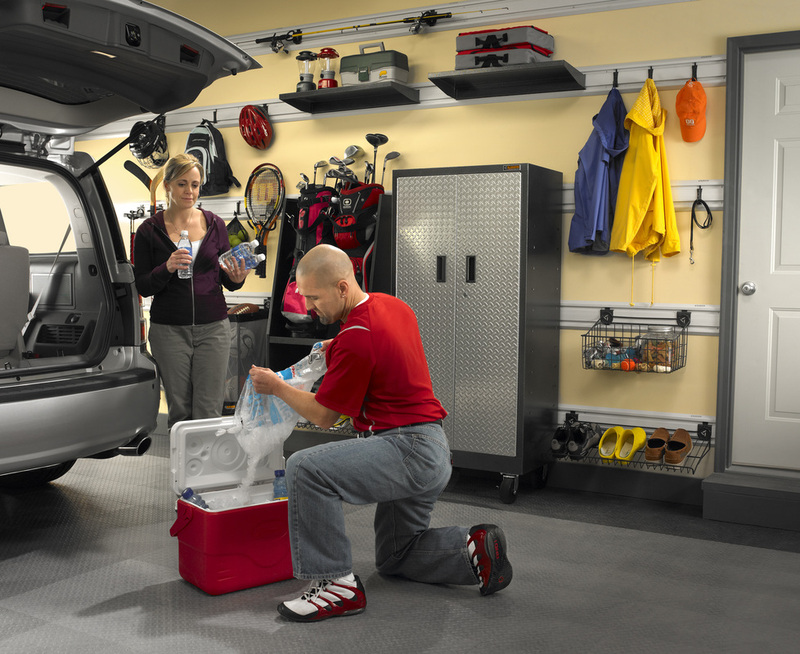 - Organize "keep" items back into the garage so you can maximize your space. 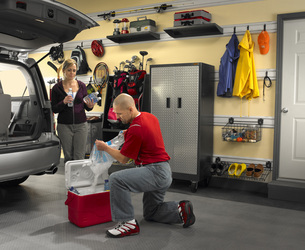 - Garage organization services are offered for residential and commercial environments. 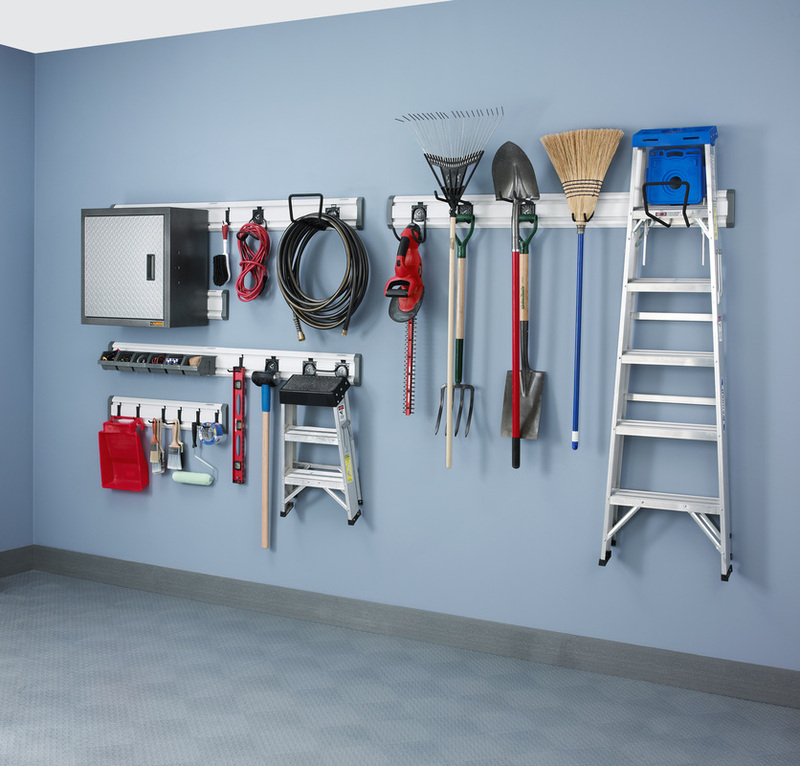 - Once the garage is "decluttered", brainstorm and design a storage solution to make the garage as efficient and effective as possible. - Work closely with the client to finalize the design plan to ensure all items are accounted for, and have been positioned properly. - By utilizing the walls and elevating personal belongings off the ground, this will not only create a more organized space, but help prevent items from getting wet or infested with bugs. 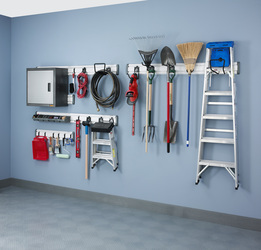 - Numerous storage solutions are available including, but not limited to cabinets, shelves, hooks, bike racks, lockers, ball bags, golf caddies and more! - Grease and car stains can make garages ugly, unappealing and unhealthy. - Stains will seep into the concrete pores, making them extremely difficult to remove. - Change your garage floor from an environmental hazard, to a creative fun flooring system utilizing colorful garage tiling. 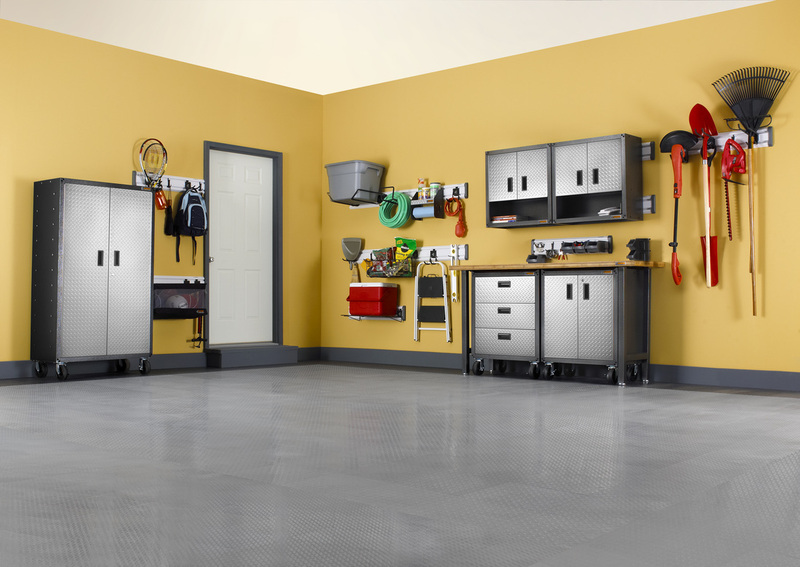 - A new garage floor is a lasting investment that will revitalize your garage for years and help increase the value of your house.